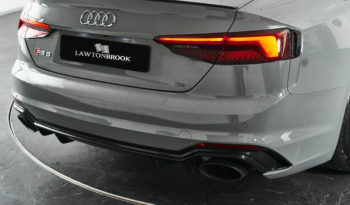 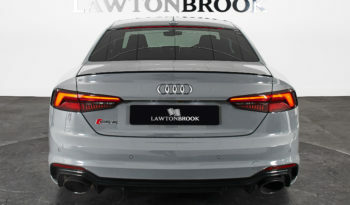 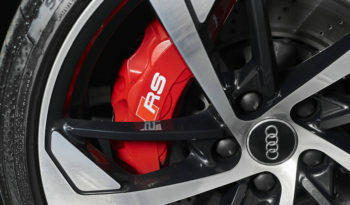 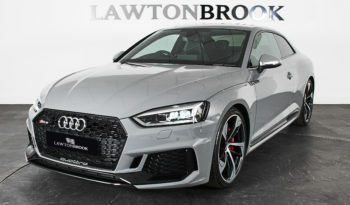 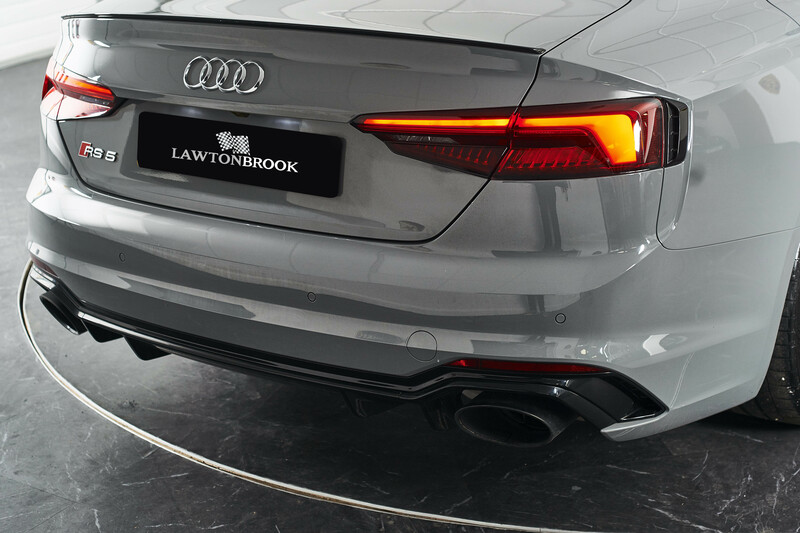 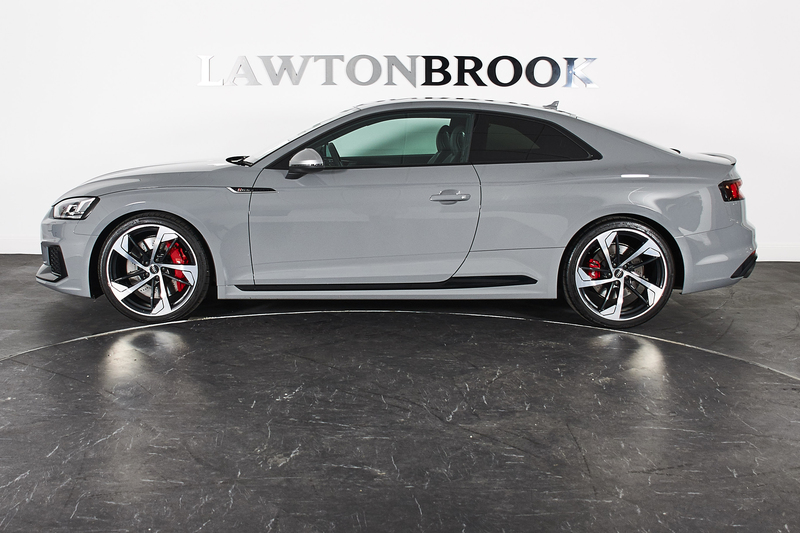 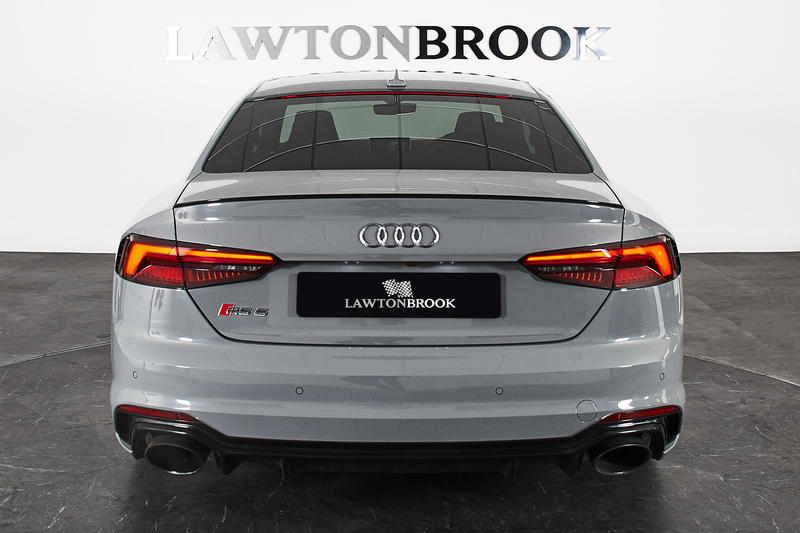 Lawton Brook are pleased to present to market our fantastic Audi RS5 Coupe. 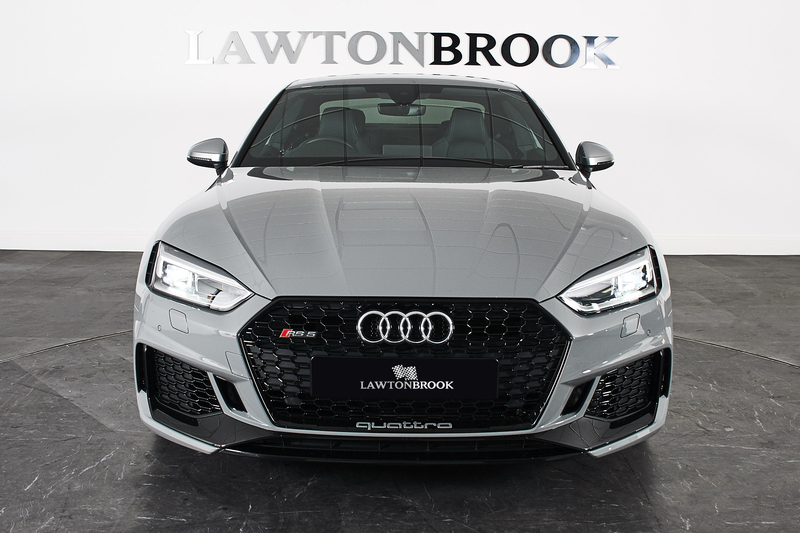 A sublime blend of real world performance, fine handling and the ability to switch from relaxed cruiser to racecar in an instant. 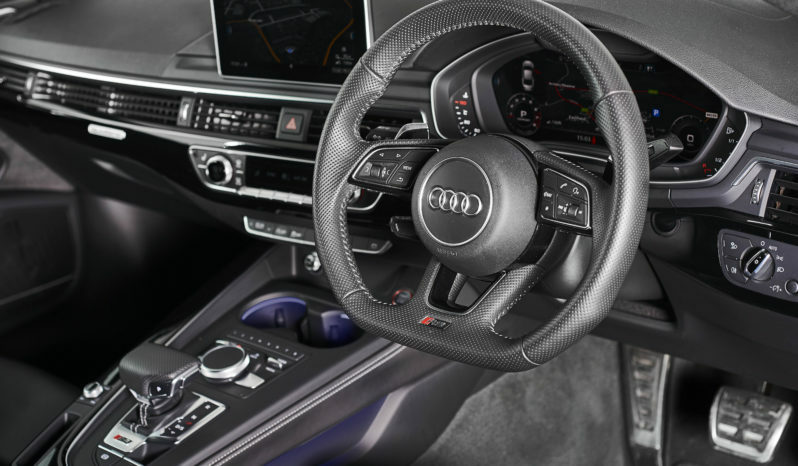 Presented in the very best combination of Nardo Grey with Black Honeycomb leather stitched in Rock Grey and interior piano black inlays, the car looks amazing. 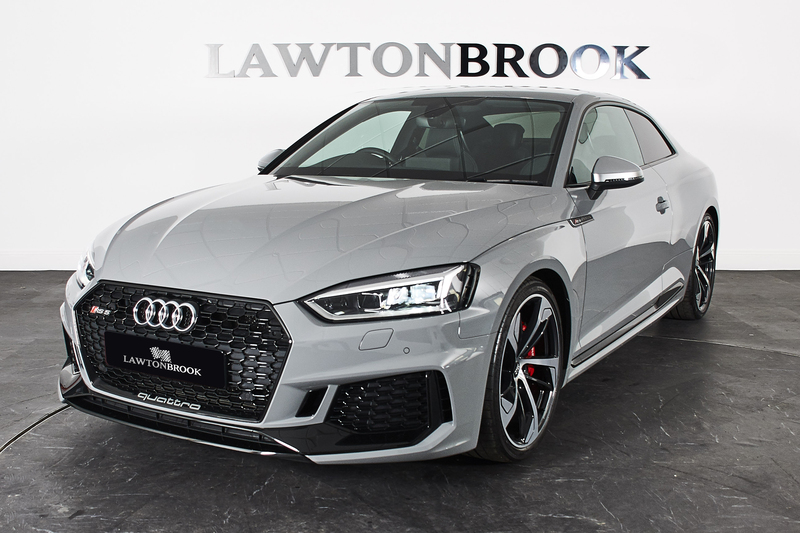 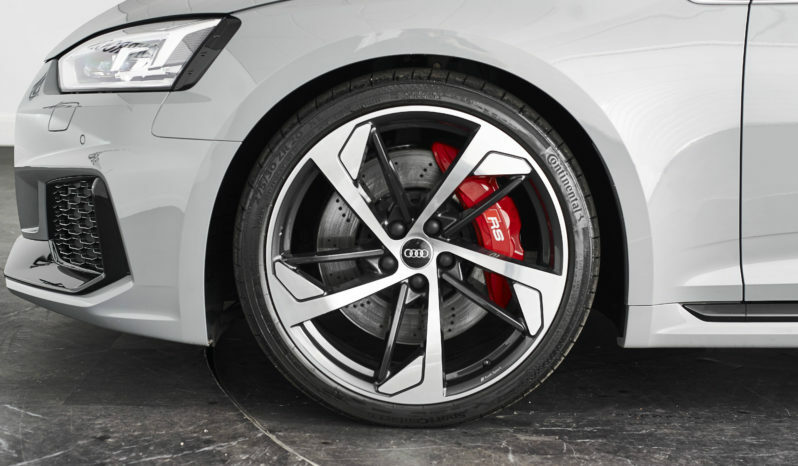 The exterior is enhanced by the Gloss Black styling package including boot lip spoiler, privacy glass, unmarked 20″ 5 arm Trapezoid alloy wheels and red brake calipers. 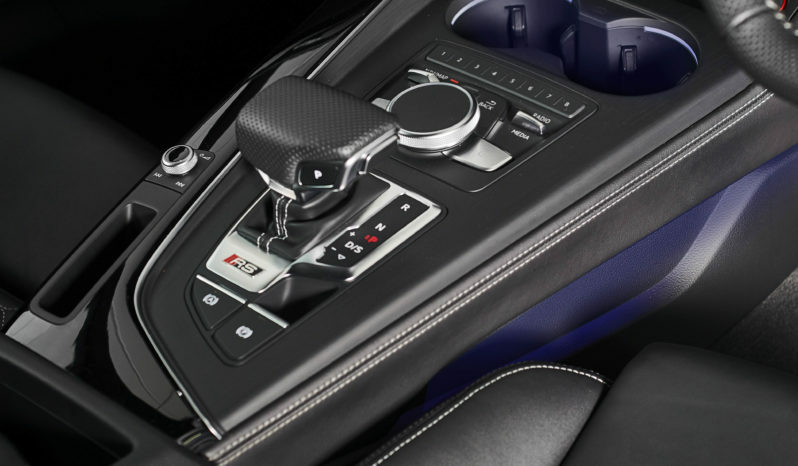 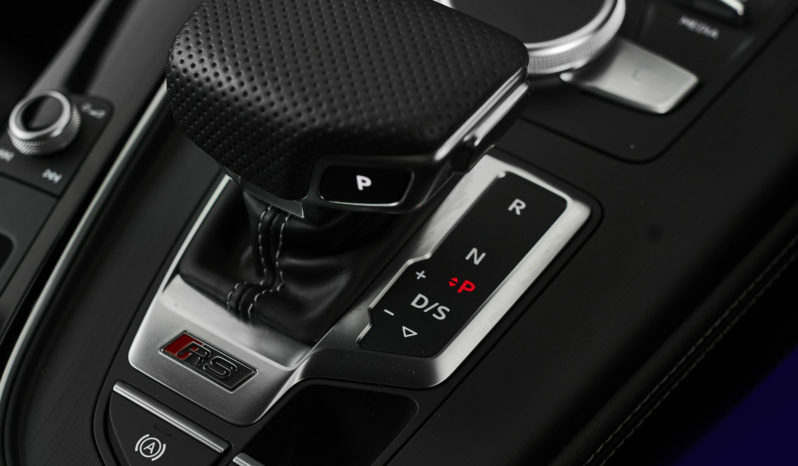 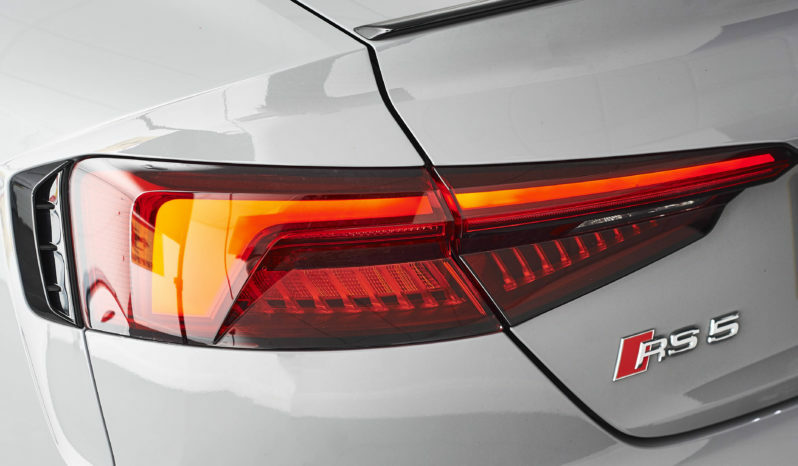 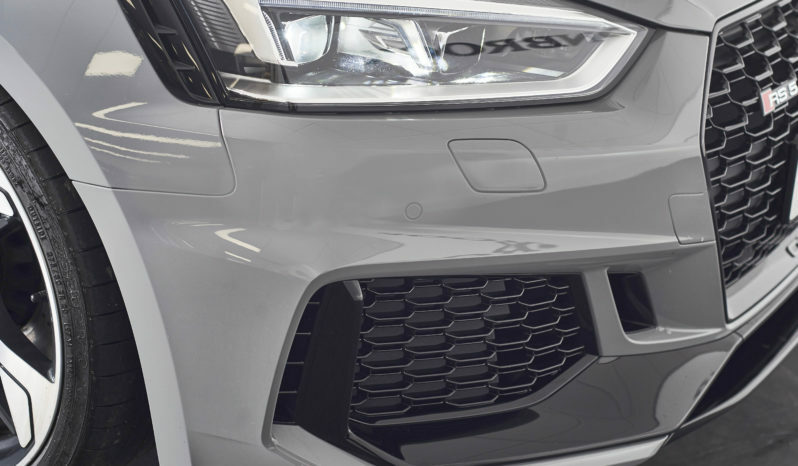 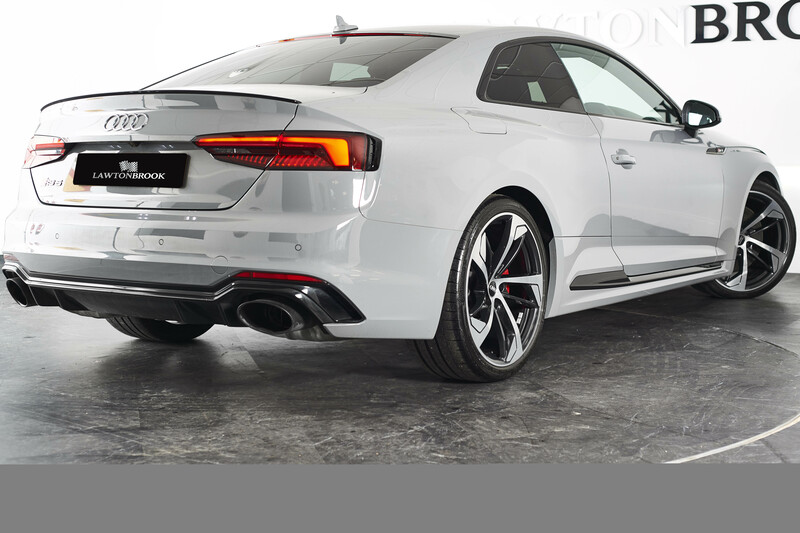 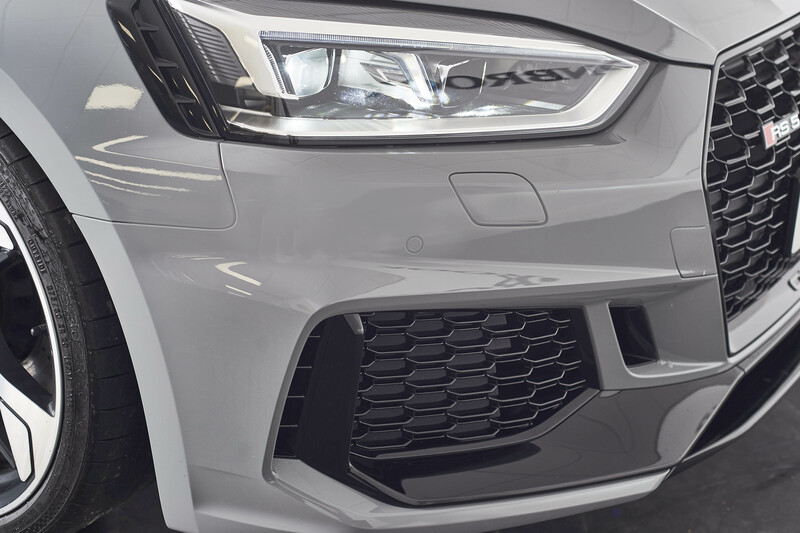 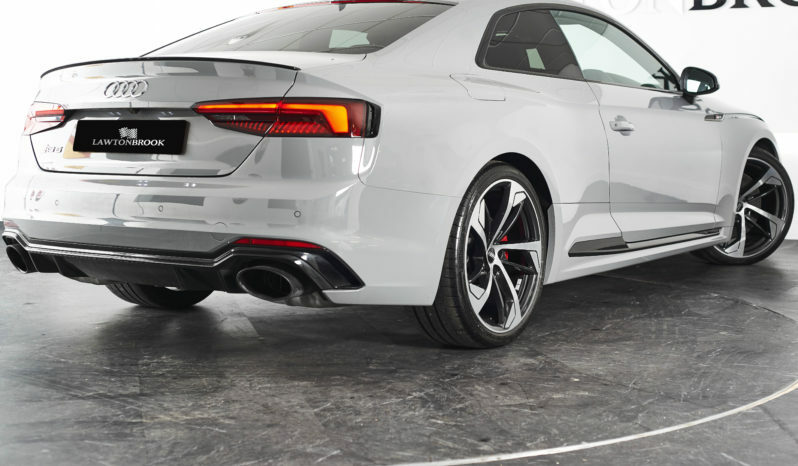 Our car also boasts the superb Audi Sports Exhaust system which is quiet enough around town to not attract attention, but has the ability to transform into a full fat touring car rasp with one touch of the Audi Drive Select button. 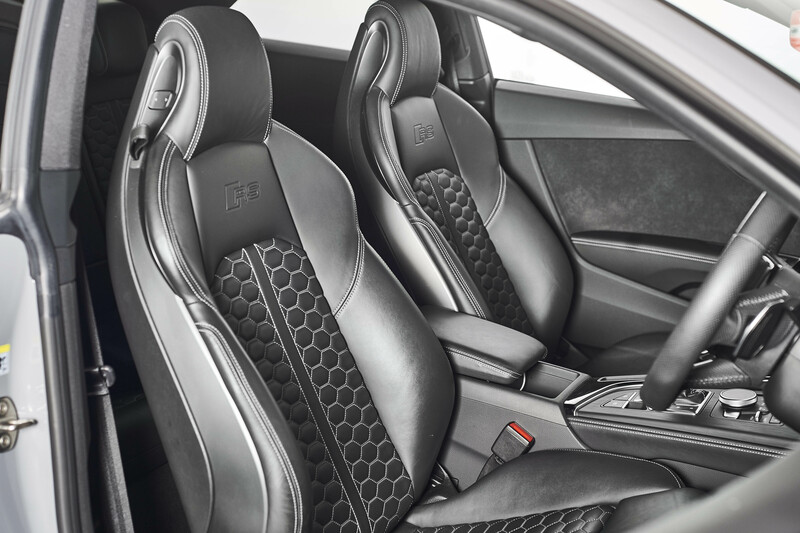 The interior is a fantastic place to spend time. 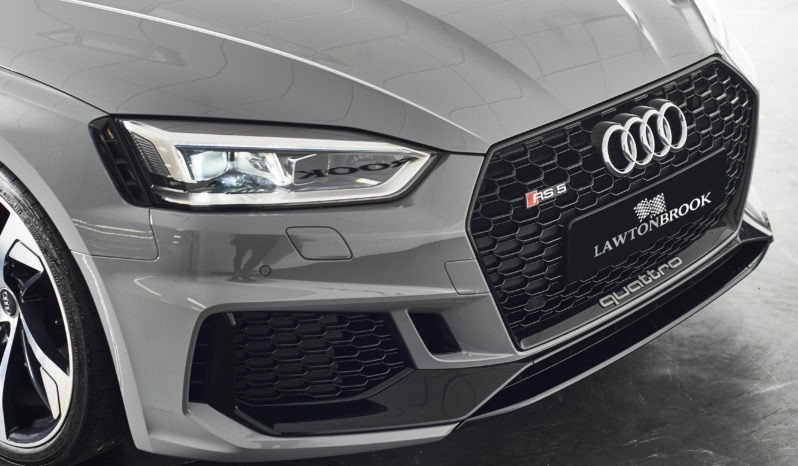 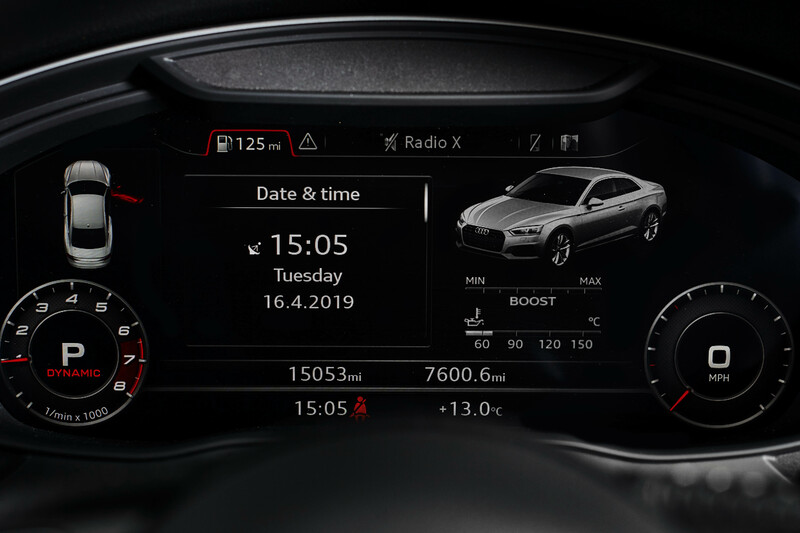 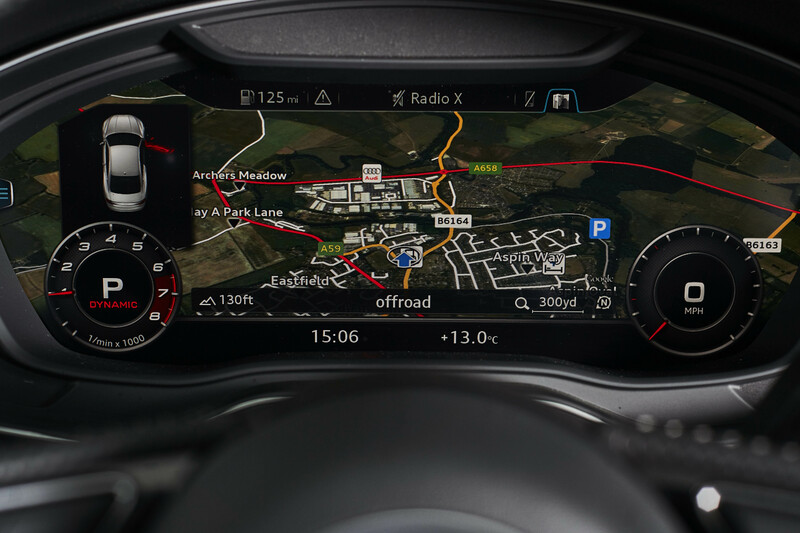 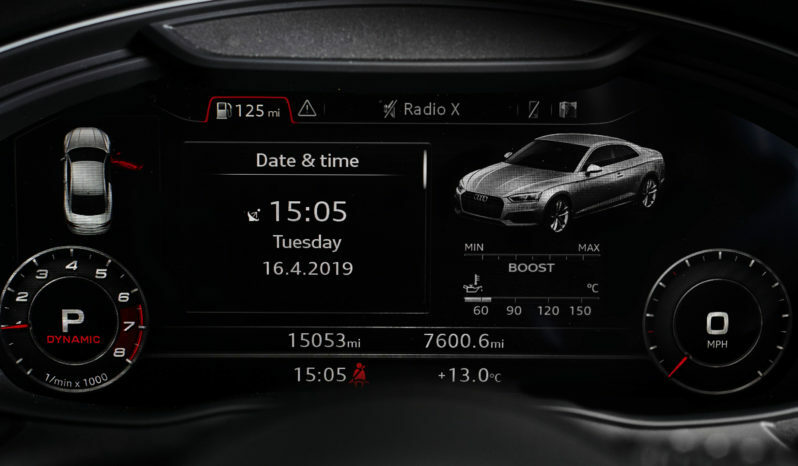 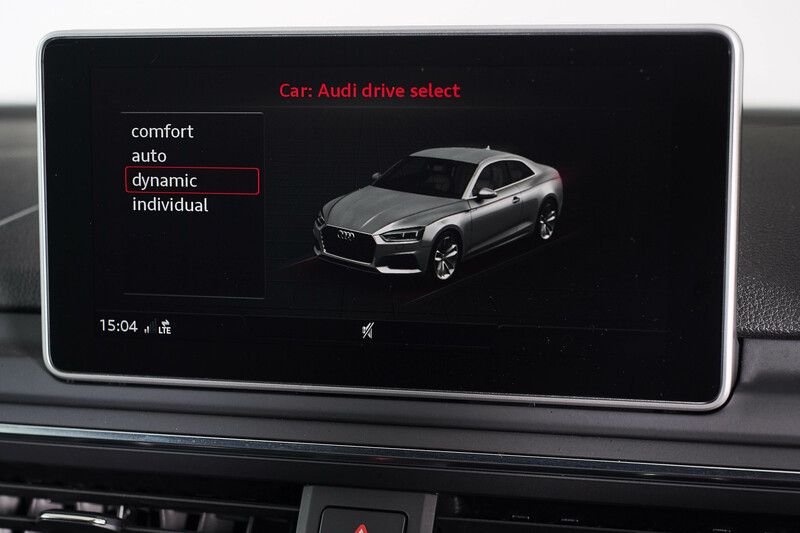 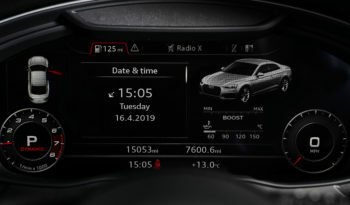 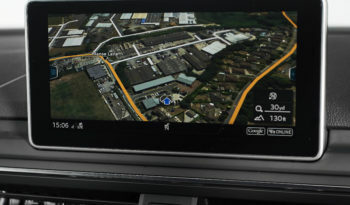 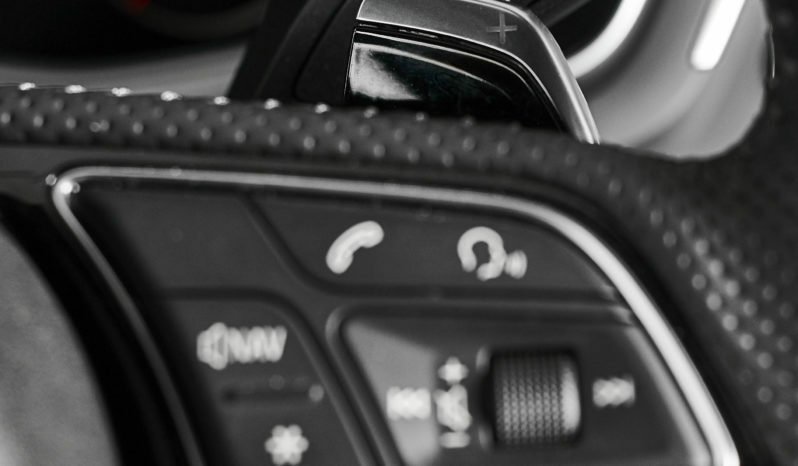 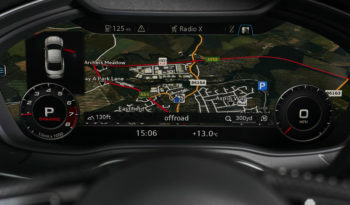 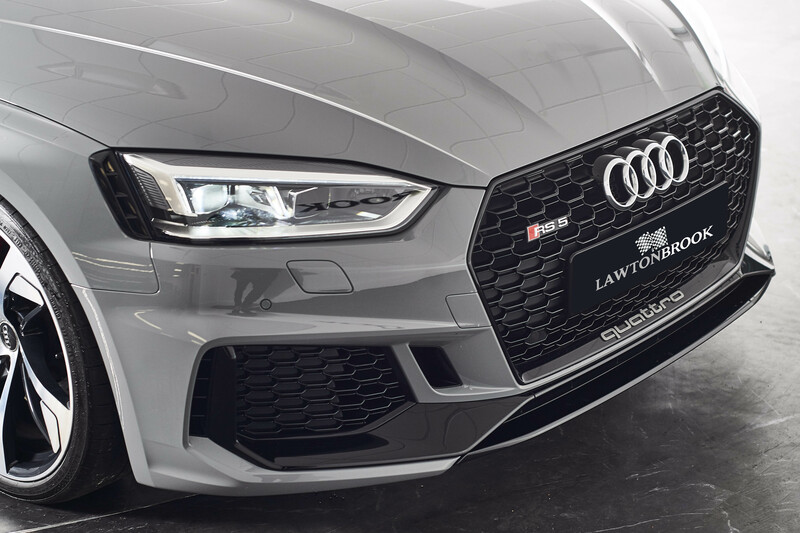 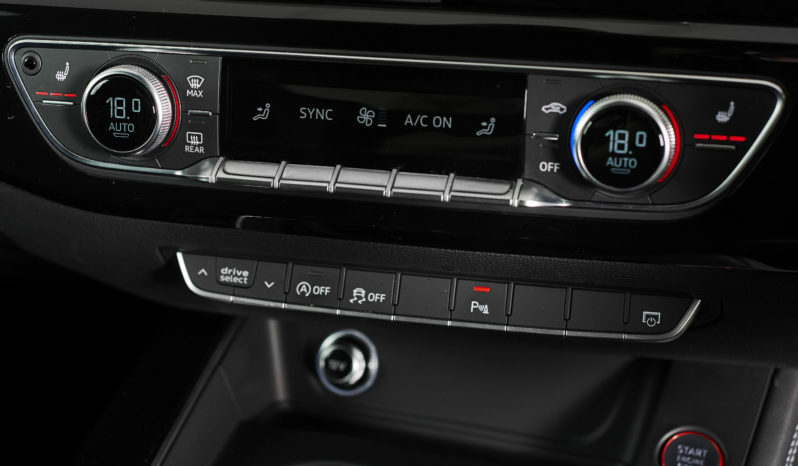 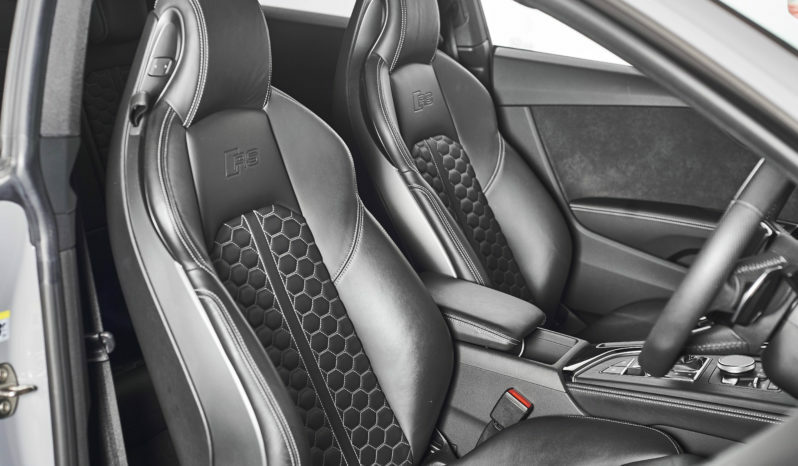 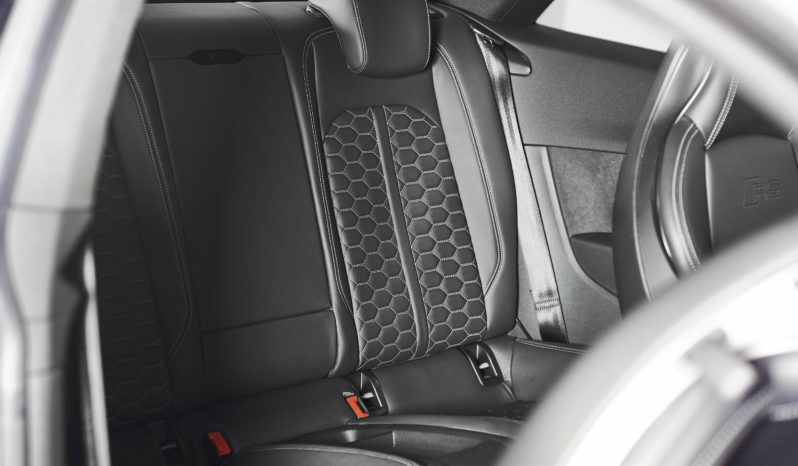 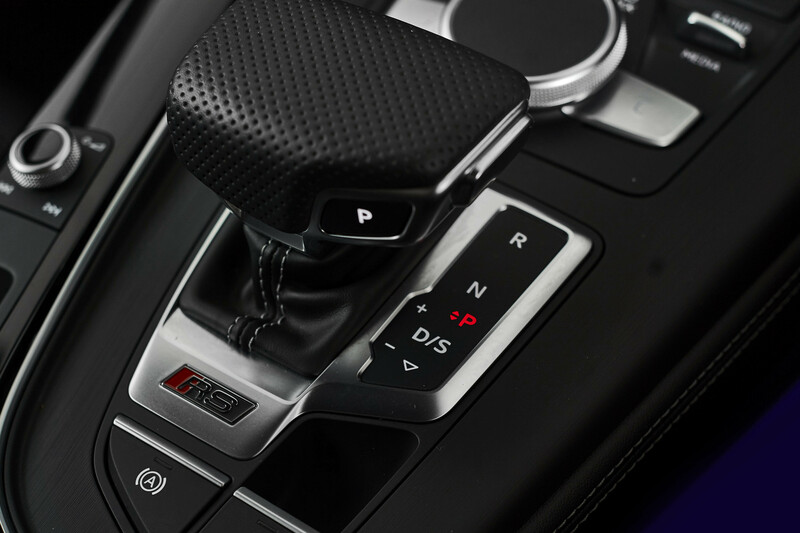 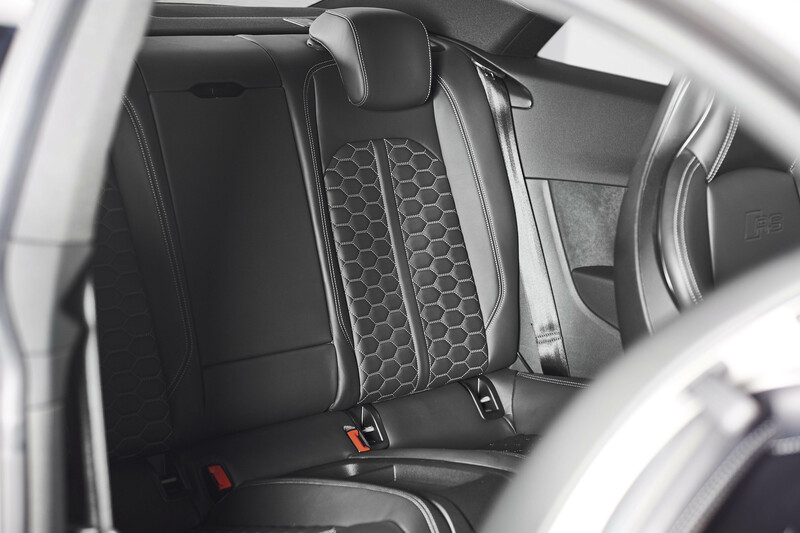 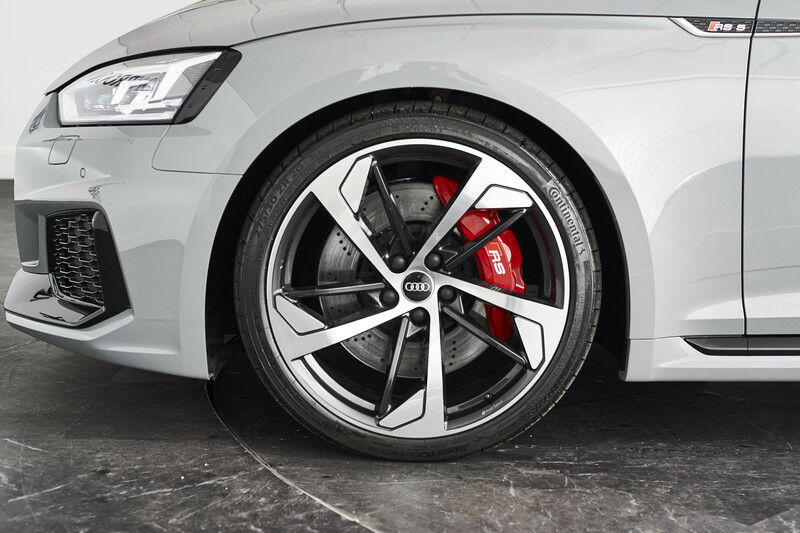 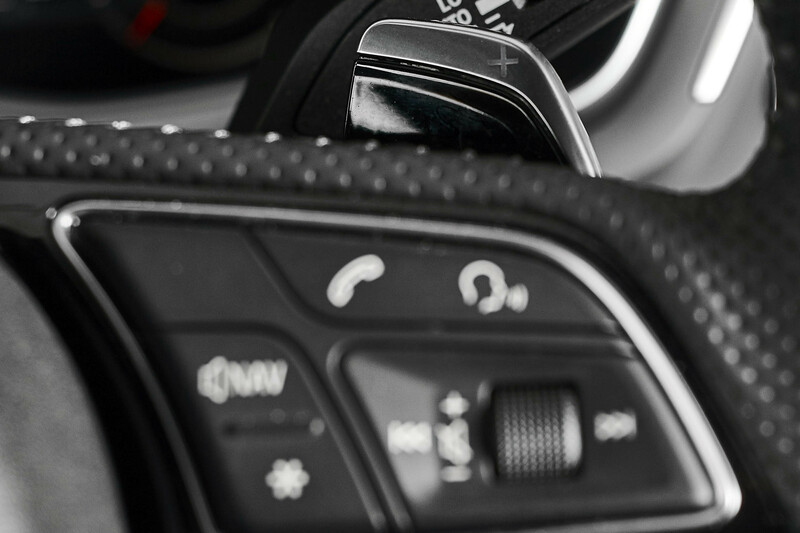 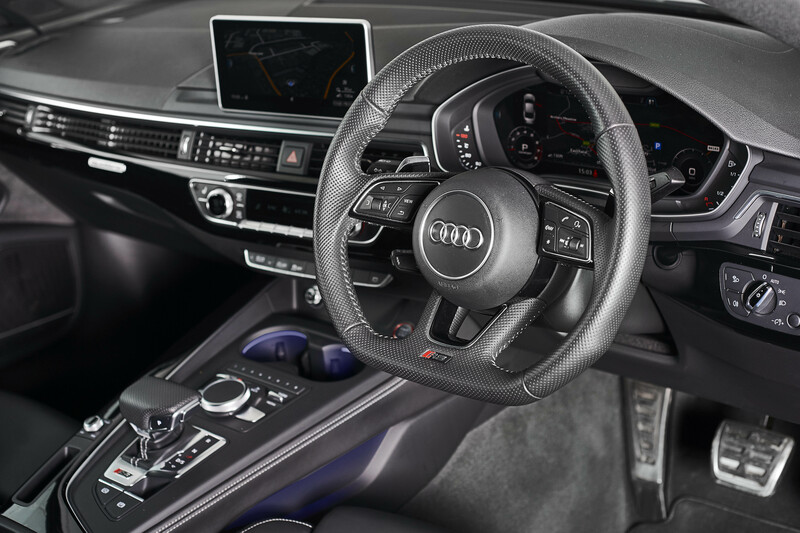 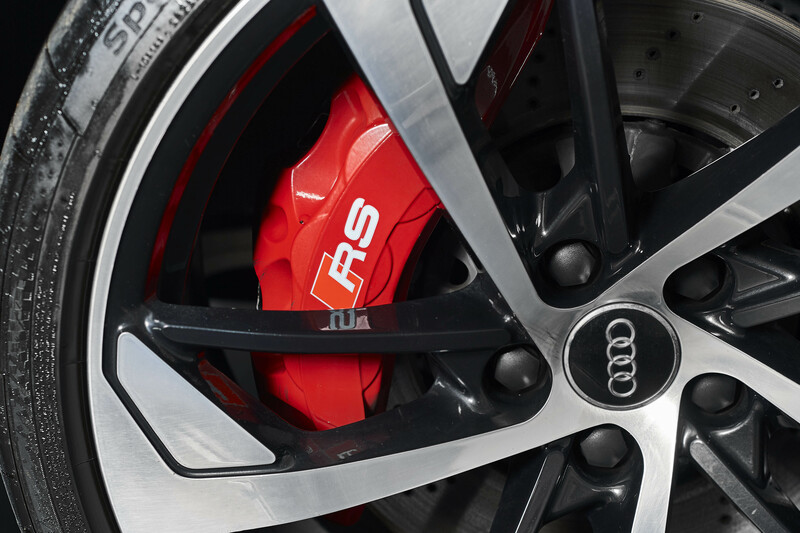 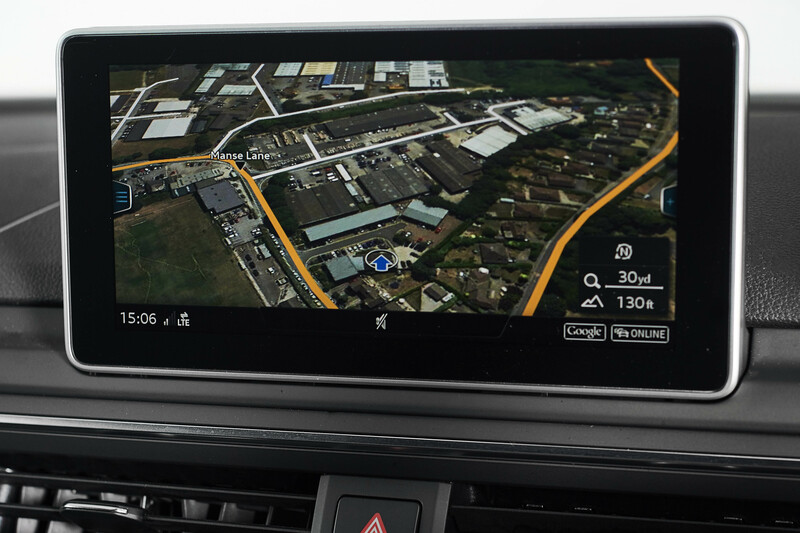 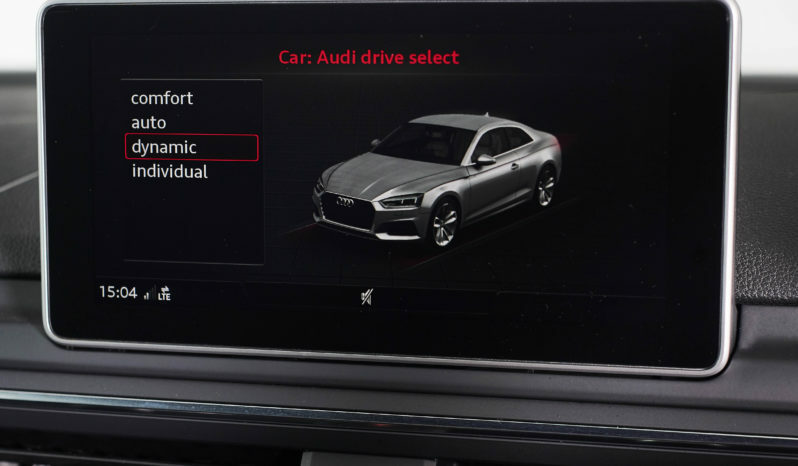 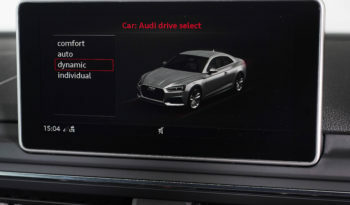 Equipped with the all important Sound and Comfort package, our RS5 features the superb Bang and Olufsen 3D Surround Sound system incorporating 20 speakers and an output of 755 watts, with illuminated speaker grilles, Audi Music Interface (including iPod connectivity) and Apple Car Play. It has Advanced Key which provides keyless entry and engine start, along with a rear view camera and electric handsfree boot opening system. 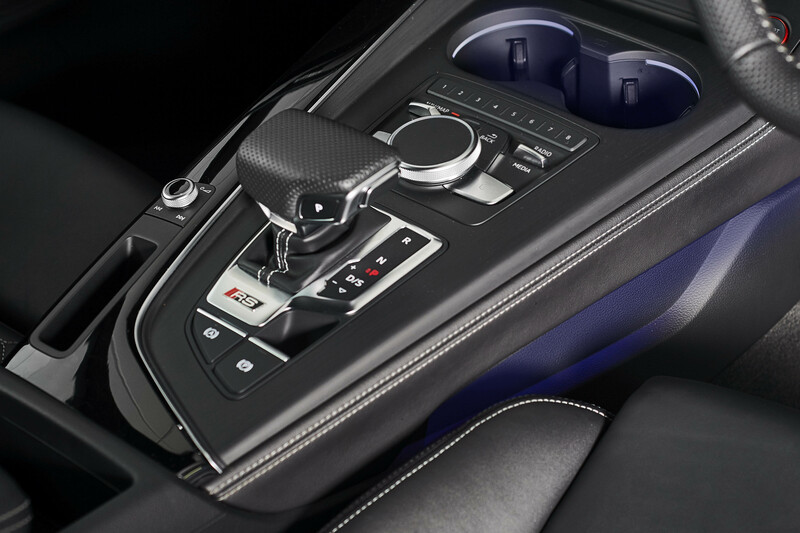 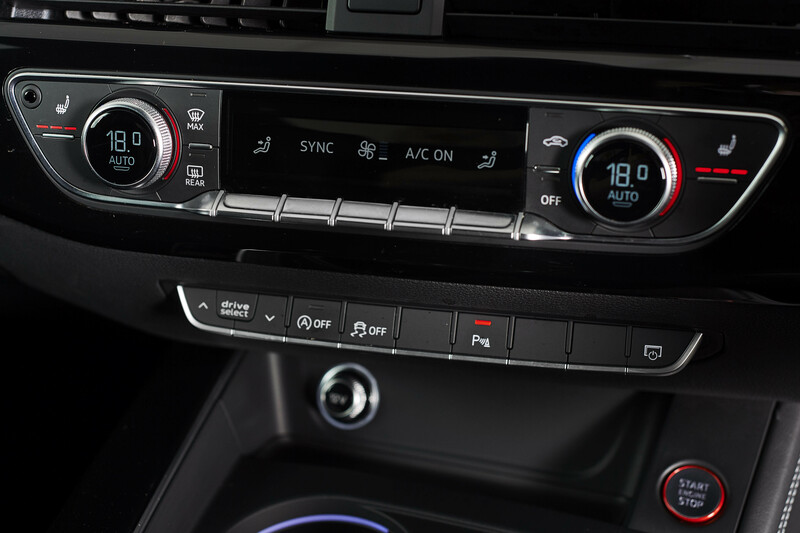 Our car also has the extended LED interior lighting package, featuring an array of ambient lighting options. What a car! 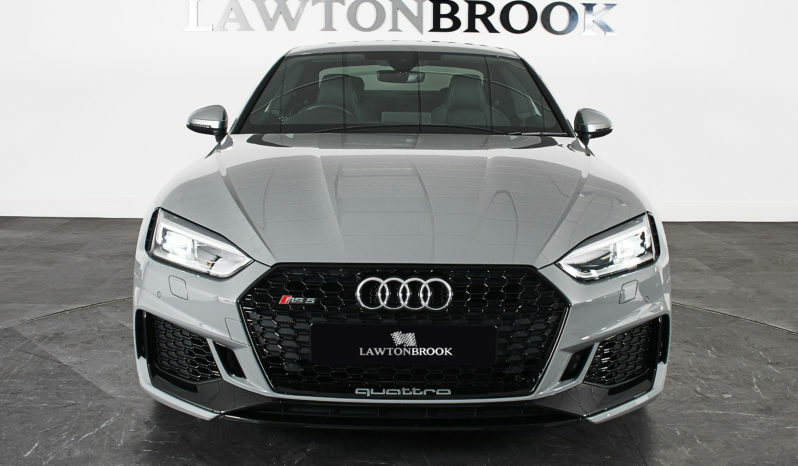 450 PS, full time Quattro all wheel drive traction, sub 4 second 0-60 mph dash and respectable all round economy the RS5 is a fantastic all-rounder. 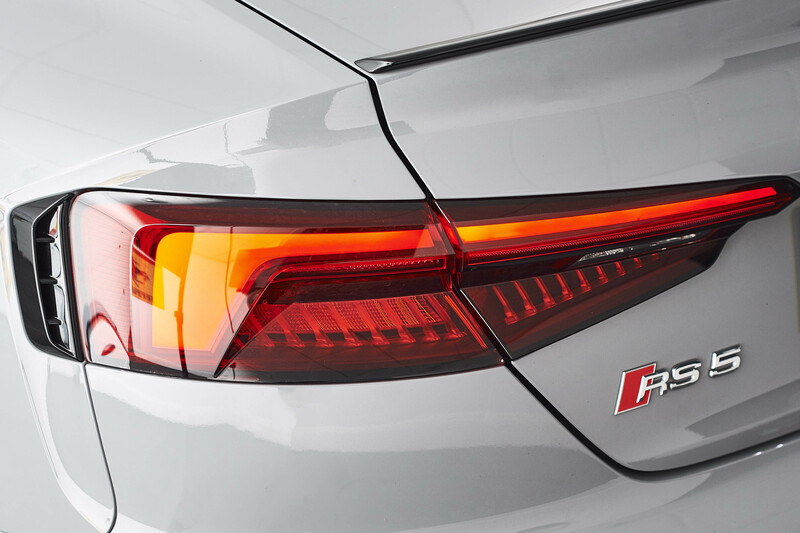 Whether it be for a jaunt to the shops or a trans-European roadtrip, this is a car that will do it all. 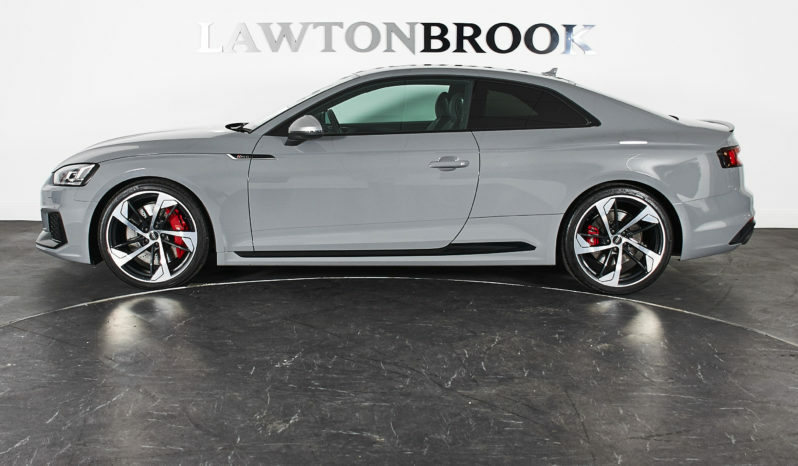 Superb condition inside and out , Audi’s faultless Germanic build quality and in the very best colour combination, this really is the one to own.